 After seeing a very basic, but pretty nice Windows 8 wallpaper, I got the idea to create a wallpaper pack which features the Windows 8 logo on the different Metro accent colors present in the Release Preview. This wallpaper collection contains 48 different wallpapers with the original white Windows 8 logo and the same 48 wallpapers with a custom-made colored Windows 8 logo. All wallpapers are available in fullscreen (1600×1200) and widescreen (1920×1080) resolutions, which makes a total of 192 wallpapers. You are free to use and modify these wallpapers for whatever you want, but please give credit where credit is due. Cool collection, must have took you some time to do this, thanks for your effort.